As writers, we all have our own ways to capture those ideas that flit in and out of our brains a million times a day. Sometimes, the trick is to grab on to the right ones…and to let those less than stellar ones float back into the morass from which they came. The brain is like a TV screen on crack. We all know this. It’s often the loudest idea that gets the most attention, too (kind of like when you’re channel surfing and you run into Jersey Shore—you know it’s a brainless horrible creation that you should not even glimpse at. BUT it’s just SO loud and neon-glow like. Its sheer horribleness makes you stop surfing for a minute. Maybe even so you can just scream at your TV for having such a vile thing on it). The loudest idea is not always the good one. When you’re fighting for attention, though, you can really be convincing (cue a knock-down screaming brawl on Jersey Shore—don’t change that channel!). The writer’s job is to listen…to try to catch a glimmer of each of the ideas as they float past. AND to know that the best idea could be under a quagmire of very bad ideas. To harvest the best ideas takes practice. How we practice is of no significance. That we practice is. For me, I like to jot down ideas on little scraps of paper as they come to me. I remember to have a pen handy at all times. There was a time when I carried a little notebook, but I found that to be less effective than scribbling on scrap paper. A word of advice…if you prefer to carry around a notebook, make sure it is neither very pretty nor very cool. It’s pretty crappy when you have this perfectly good journal and you don’t want to mess it up with writing. This has happened to me on more than one occasion. I attempted the notebook again recently, when I found a very cool one. I carried it around for several days. The pen paused over its awesome pages many a time. But I just couldn’t do it. I couldn’t sully it with ink. How useless is that?! 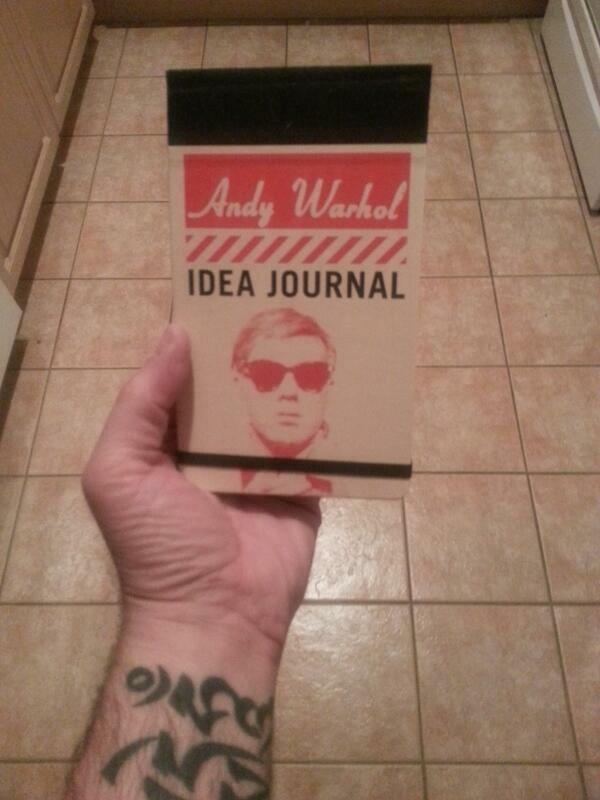 My uber cool and drastically empty Andy Warhol Journal! So, I always have a pile of shopping receipts in my pockets and I scrawl little notes on them in the most interesting of ways. At times, the writing goes in a circular route around the outside of the receipt…so I can fit everything in that I want to write. It looks messy, it’s hard to keep track of…but no beautiful notebooks are dying at my hand. You never know when the ideas will hit. Even if all you have on you is your smart-phone, make sure you have a memo app that you can open quickly and add notes to on the fly. The brain thinks…that’s what it does. Listen to that thinking. 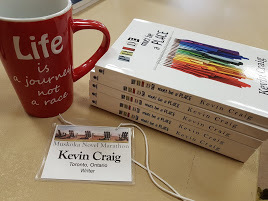 The next Great Canadian (American) Novel might fly past you one day. You have to be ready to grab onto it and go for the ride. 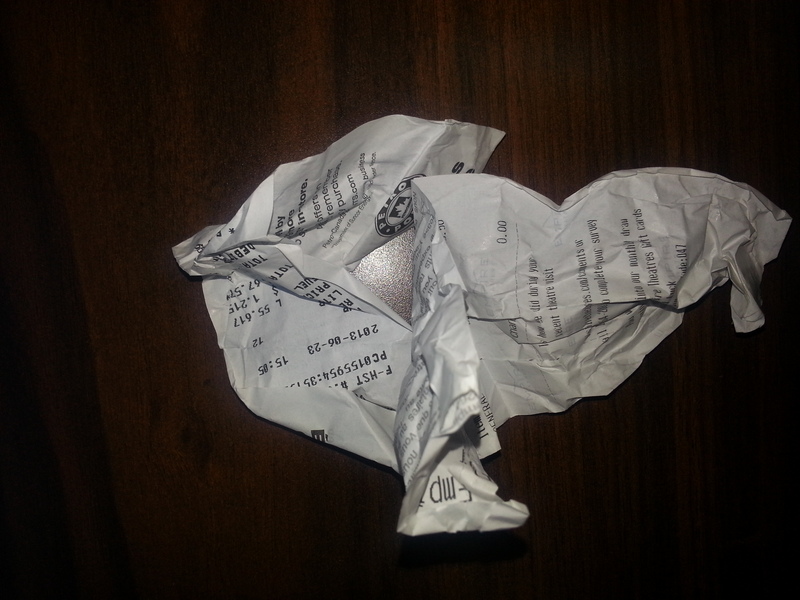 My less than pretty highly functional shopping receipts. A great ‘mason jar’ in which to trap my ideas. I find the smart-phone memo app most helpful when I’m dialogue-surfing. What? That’s really a thing. It’s one of my most favourite games. When I’m out and about my day I seek out the quirky people. You just know the quirky ones are gonna throw out some bitchin’ dialogue. And if it’s out there, it’s up for grabs. 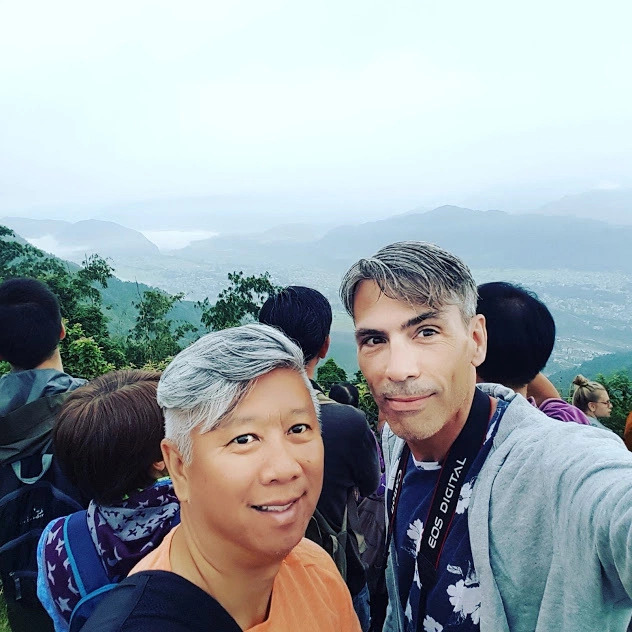 Nobody suspects a thing—sort of—when you’re standing beside them thumping your smart-phone keys at the same rate that they’re talking. They’ll just think you’re texting a friend. Just don’t forget you’re not actually a stenographer…don’t ask them to repeat a line if you missed it. (-: So, yeah, shopping receipts for ideas from the brain-screen and smart-phone for dialogue-surfing. That pretty much sums up my needs as an idea harvester. It’s not how you trap the idea. It’s what you do with it once you have it. Remember that it doesn’t have to be pretty. Whether you jot down your ideas and borrowed dialogue on toilet paper or on a beautiful leather-bound journal, think of them as fireflies in a mason jar. They’re awfully pretty. Make sure you follow the prettiest…not the loudest.